There has been a bit of a buzz in health circles lately on the concept of creating meals in a jar. The ones that have taken my interest are 'salad in a jar' and chia puddings in a jar. I'm not sure who came up with the original idea, so unfortunately I can't credit or link to them here. The basic premise is the layering of healthy ingredients that can then be either eaten straight from the jar, or tipped into a bowl before eating. Firstly, a word or two about chia seeds. Chia seeds are right up there with quinoa in terms of a new 'superfood' that has been embraced by the wider community. Initially when the craze began I was skeptical that chia seeds were just a fad, and stuck to my more humble flaxseed (or linseed). I now think they both have their place as they have different properties. 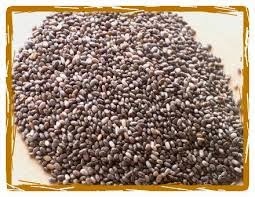 One of the beneficial properties of chia seeds as you will see in this post, is their ability to swell in size until gel-like. The beauty of this is that with very minimal effort and absolutely no cooking you can create a pudding. When soaked in a liquid the seeds swell and become gel like. Make sure to drink plenty of water when you eat them as they are so full of fibre. You can sprinkle them on breakfast cereal or salads. You can mix them with cold milk to make either a cold porridge or a pudding. The great thing with chia seeds is that you don’t have to cook them, you just mix them with a liquid. Chia pudding can be eaten for breakfast, dessert, or as a snack. It packs a powerful nutritional punch and is extremely easy to make. This recipe fills a 250ml jar or glass. 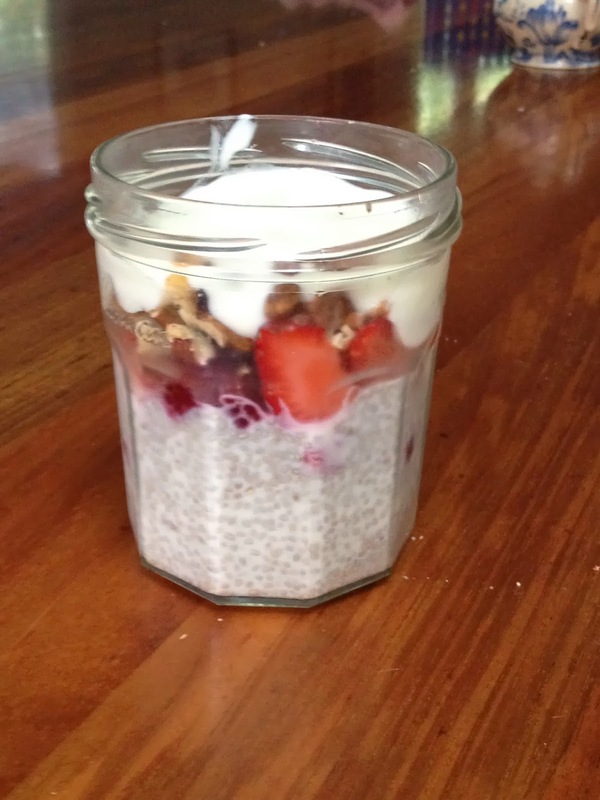 In a jar combine the chia seeds, milk and maple syrup if using and stir well. The pudding will set in 5-10 minutes, or can be put in the fridge overnight. You will need to stir a few times until it's set. Place your berries (or other fruit) over the chia pudding. Finish the pudding with a layer of natural yoghurt. When ready to eat mix it all together and ENJOY! The variations on the above recipe are endless. Use this as a guide only and experiment with different combinations of fruit and nuts.